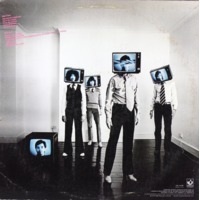 Be-Bop Deluxe were an English progressive rock band who achieved critical acclaim and moderate commercial success during the mid to late 1970s. Be-Bop Deluxe was founded in Wakefield, Yorkshire, England, by Bill Nelson in 1972. They never played bebop music, but instead came out of the blues-based British rock scene of the late 1960s. At first they were compared to the more successful David Bowie, but Nelson never tried to copy Bowie, and appears to have disliked comparisons or being pigeon-holed. This artistic restlessness eventually led him to disband Be-Bop Deluxe altogether and pursue less commercial paths of expression. Influences upon the band's music included David Bowie, Roxy Music, King Crimson, Pink Floyd, Van der Graaf Generator and Frank Zappa. The band's sound emerged as a mixture of glam rock, prog rock and straightforward rock and roll. Science fiction imagery (e.g. robots) was common in Nelson's lyrics, along with the more traditional themes of love and the human condition (albeit often hidden beneath Nelson's quirky lyrical and musical metaphors). Nelson was acclaimed as one of the finest guitarists in British rock at the time, and the music showed that, with his distinctive tones adorning most tracks. Stylistically, the songs took elements from progressive rock, glam rock (the band had flirted with make-up in the early days) and hard guitar rock. Ships in the Night was their most successful single in the UK and US.